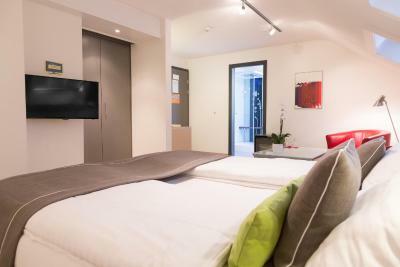 Lock in a great price for Hôtel Des Arts – rated 8.6 by recent guests! The staff was really kind and spoke good English. 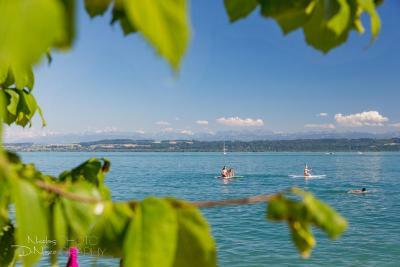 The hotel is 2 minutes from the lakeside, where you can walk along to reach the city. Getting from the train station was also quick and easy. We found the staff very friendly and helpful. The location is near the old town. Quite a pleasant walk. Our balcony room was spotlessly clean. Staff was pleasant and attentive. Excellent location. 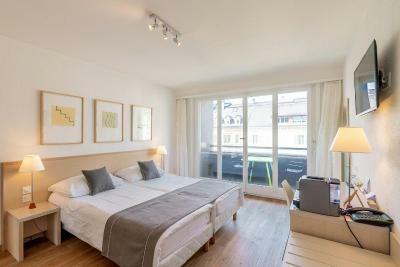 Good location a few blocks from town center and just one block from the funicular to railroad station. A very pretty park across the street is good for those walks. Friendly staff. Everything. Great facility, very clean and the staff is very friendly. Everything ! Staff was very very helpful & beyond expectations! 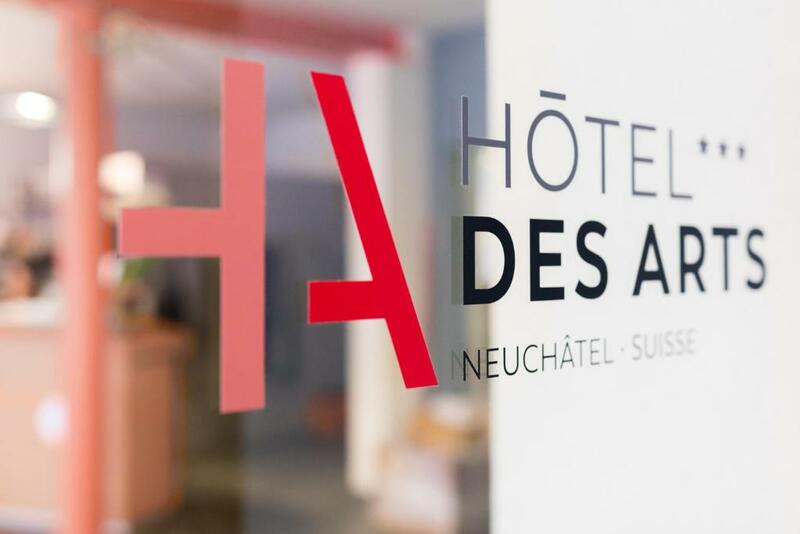 Hôtel Des Arts This rating is a reflection of how the property compares to the industry standard when it comes to price, facilities and services available. It's based on a self-evaluation by the property. Use this rating to help choose your stay! 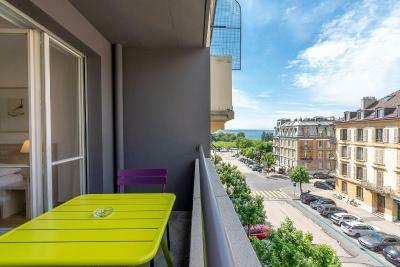 Hôtel des Arts is conveniently located just 650 feet from the lake, near the center of Neuchâtel and the funicular railway which will take you to the train station in 3 minutes. Rooms have free Wi-Fi. 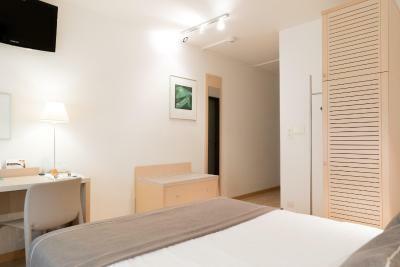 All rooms are modern and functional. 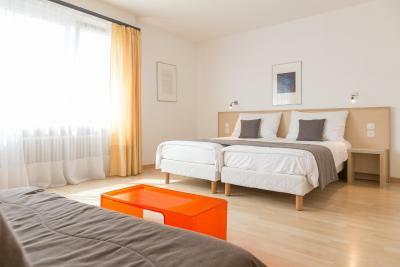 They are tastefully decorated and offer all the comforts for a pleasant stay. 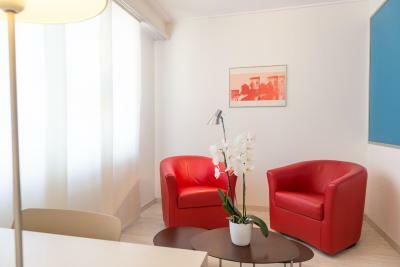 Throughout the hotel you will find on the wall a selection of modern art prints that provide a touch of color and modernity. 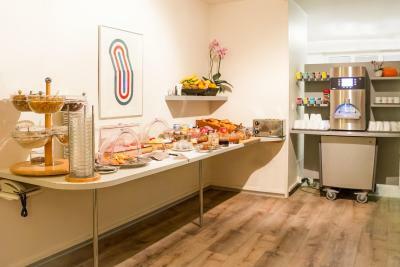 The property serves a buffet breakfast. 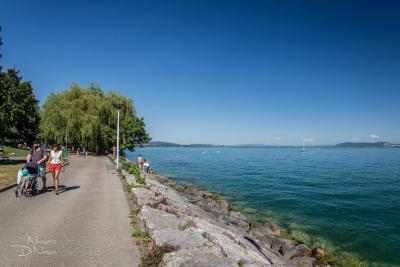 Guests receive the Transport Card which offers you free public transport in Neuchâtel as well as free admission to 25 museums. 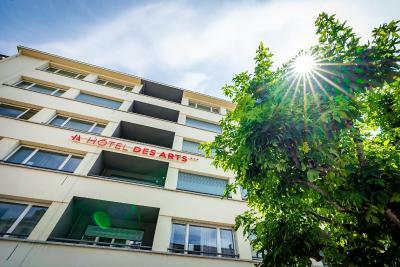 When would you like to stay at Hôtel Des Arts? 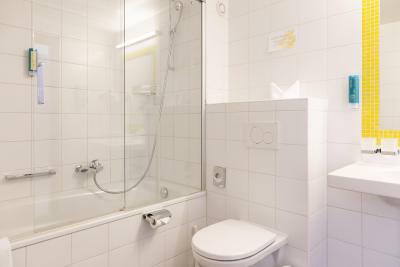 Room with satellite TV, free WiFi and a bathroom. 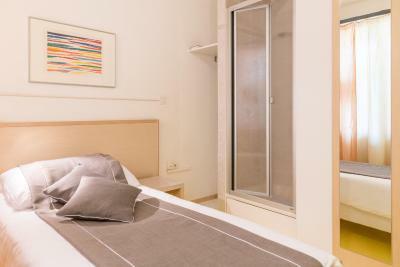 Cozy room decorated with colorful paintings, featuring free Wi-Fi, satellite TV and a bathroom. 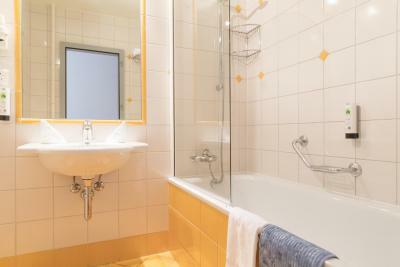 Suite with a bedroom, a living room with satellite TV, free WiFi and a bathroom. 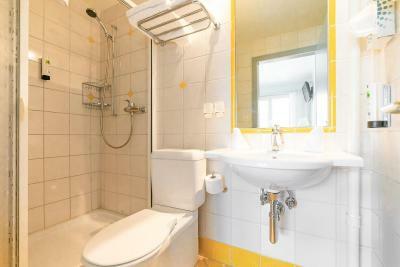 This room features a balcony, a bathroom, a TV, a telephone and and free WiFi. 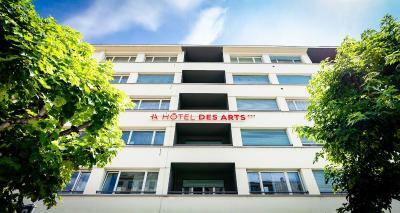 Hotel des Arts offers an original and welcoming decor which is the perfect setting for a wonderful stay close the lake and the city center. 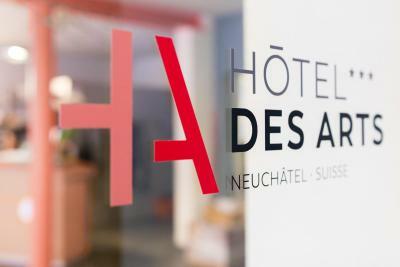 Hotel des Arts has been renovated in early 2002 and the rooms were refreshed again in 2008. 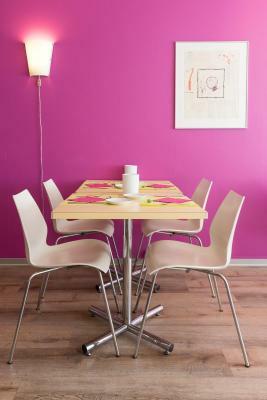 You will definitely enjoy the warm colourful paintings & sculptures. 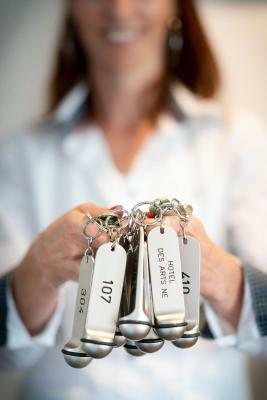 House Rules Hôtel Des Arts takes special requests – add in the next step! 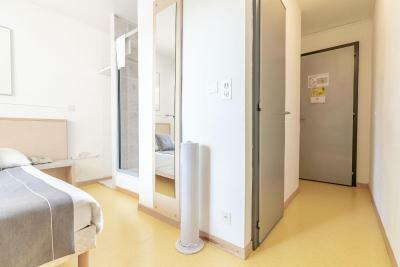 Up to two children under 2 years are charged CHF 10 per stay in a crib. 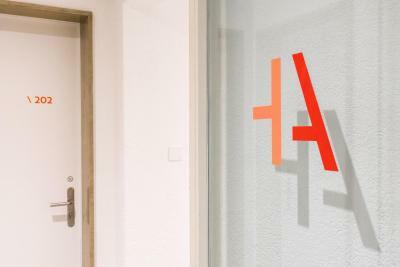 Hôtel Des Arts accepts these cards and reserves the right to temporarily hold an amount prior to arrival. The breakfast buffet didn’t have a lot of options. 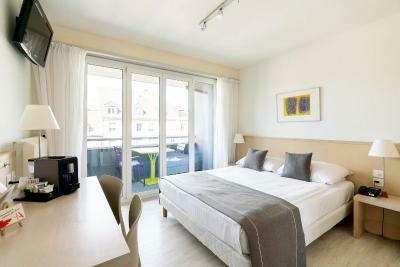 Brand new rooms, very nice! There was a lot of noise from the street on the room. They provided earplugs, but I find them very uncomfortable and had to choose between that or the noise. We were a big family group which arrived earlier. We came for a Wedding. 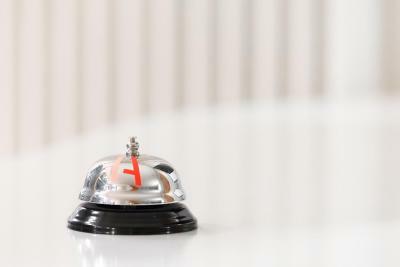 We received an upgrade for one of our booked rooms so some of us could check in earlier.The staff was very helpfull. Espeaciall Marc the Night-Duty and the young man with curls. We received a tourist ticket which you can use in all public transport. 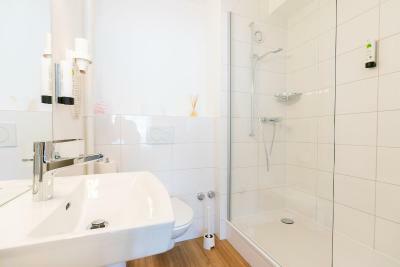 Location - 2 minutes from lakeside. 1 minute from funicular from the station - although walk down is easy. Able to check in before 14:00. Room spacious and clean. Warm in cold weather but not stifling. 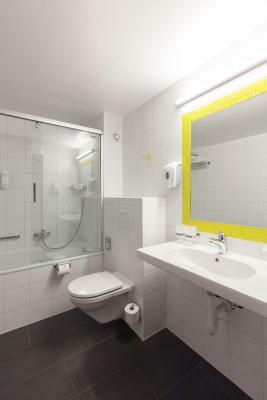 Lots of storage space and nice big modern bathroom Breakfast buffet was pretty good for a small hotel 10 minute walk to old town and some excellent restaurants and bars, as well as the local sights. Under 10 minutes walk to La Madaliere, Allez Xamax!! 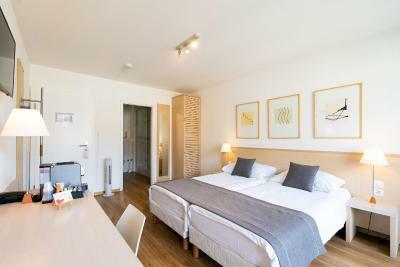 Really convenient for station if you are exploring the region by train - 40 minutes Lausanne, 75 minutes to Geneva, 20 minutes to beautiful Murten/ Moray. The bar under our windows stayed very loud throughout the night (it was Saturday..), and the room was really quite basic for the price. 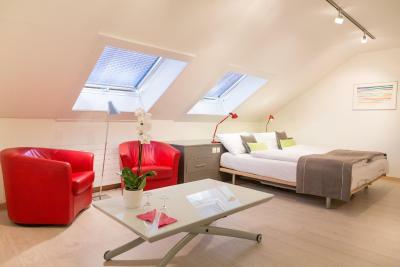 That's Switzerland though..
Comfy bed and all basics covered, including complimentary tea and coffee in the room. The location is fantastic! Room furnishing a little sparse. A couple of chairs would have been appreciated. Rooms and corridors all hard surface finishing which makes it a bit noisy and echoey. Great location in lovely town. Will be much improved when restaurant re-opens. Excellent friendly, helpful staff. Very good enjoyable breakfasts. The staff were friendly and helpful. The room was nice and clean. Great location near the lake.